Tesla is not facing the same life-or-death situation it once was, but production is below where many enthusiasts were expecting. Shares of Tesla (TSLA - Get Report) on Monday were up 2.3% to $312.84. But that's likely on account of a bullish price target from the analyst community more than anything else. On Monday morning, Canaccord analysts slapped a $450 price target on Tesla stock, implying almost $150 per share or 47% upside from Friday's closing price. It's causing investors to overlook the other news on Tesla on Monday, which is that the automaker has gone through a round of cuts for its Model 3 delivery team. Specifically, the automaker has fired 150 of the 230-person team based in Las Vegas that was responsible for coordinating Model 3 deliveries around North America, according to reports. Sources have said that Tesla expects North American deliveries to slow "significantly," hence the job cuts. Of course, the extreme takes are the first to come out. Bulls defend the move by saying the focus is on Europe and China right now, not North America. That demand is so strong outside of the U.S. right now, that North America will have to take a backseat for the moment. Bears counter by saying that this is obvious proof demand is slowing significantly and that Tesla is circling the drain. The truth lies somewhere in the middle. It's true that Tesla is now focused on rolling out Model 3 vehicles to Europe and China. Because they're loading these vehicles onto cargo ships, the need for personnel in Vegas to coordinate shipments across North America becomes less vital. The bears have a point in that, if demand were stronger, those working for Tesla in the Las Vegas logistics operations would still have a job. Or at least to the point where Tesla wouldn't have let almost two-thirds of them go. That said, I wouldn't say this is the nail in the Tesla coffin. The company still has plenty of things working in its favor. The fact that it's rolling out the Model 3 to international markets is certainly one of them, as is the company's continually increasing total vehicle production, its profitability and positive cash flow. Tesla was facing a life-or-death situation when it was struggling to ramp Model 3 production in early 2018. It cleared that hurdle (although not with ease) and is now focusing on bigger aspirations. 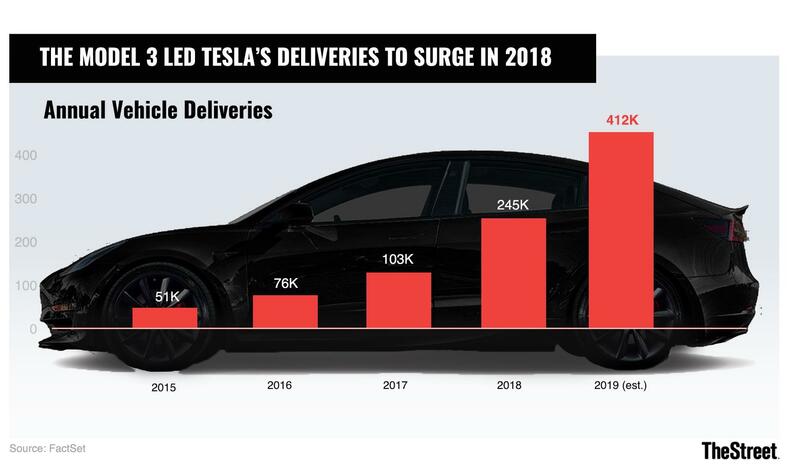 It makes sense that it's cut the size of some of its Model 3-related teams as production becomes streamlined and after the initial explosion in demand dwindles a bit following a multi-year backlog from enthusiastic customers. But it also highlights the fact that Tesla is falling behind schedule to some degree. Management was looking to get to a run rate of 6,000 Model 3s per week by the end of August, then by the end of the year. While Tesla has shown flashes, we continue to see it lagging behind some of the more ambitious targets. To a degree, that's OK so long as the company continues to perform. As such, the more efficiently it can produce more vehicles, the better off its bottom line will be. While investors have thus far been patient, the sledding will get tougher when Tesla begins to introduce the Model Y, Semi, Roadster and begin production in China at the Gigafactory 3. Further worth noting, it has $920 million worth of convertible debt coming due March 1. Should Tesla stock close below $359.88, it will owe the full $920 million. Over that price, though -- and shares aren't all that far from it -- management has said it plans to pay half in cash, half in stock. The bottom line? Tesla's a bit behind schedule, but it's not a fish out of a water. If it improves production efficiency and vehicle quality, it's worth taking more time to get it right. That said, scaling production higher will prove underlying demand remains strong enough to support the company's future.